Listings for Baby Goods for all your baby needs. Offering a large range of products including prams and nursey items, all at competitive prices. Providing great services and quality baby products to its customers, always to date with many new and exciting products available. Baby good stores from New South Wales, Queensland, Victoria & South Australia. Your child's comfort and safety is of the utmost importance. NB Trade providers know what you are looking for when it comes to baby goods, with the best quality products that comply with the Australian standards, so you can be confident you are getting the best. Baby goods listed in Ballina, baby goods Byron Bay, baby goods in Lismore, Casino, Yamba and other NSW suburbs. Also listing baby goods in Bundall, Redcliffe, Oxenford, Coorparoo and more Queensland suburbs, and suburbs across Australia. 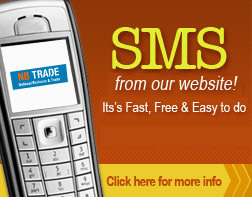 Email or SMS straight from our Baby goods Directory. Don’t be bombarded with misleading advertising, confusing claims and simply bad information. Nbtrade.com.au provides all the information you need. From Contact details to specialties. Helping you source baby goods with any budget and of the highest quality of care. Look no further Nbtrade.com.au with the best and the most popular in our local area.